Since Design moved from focusing strictly on Design to Search Engine Optimizing, we have been spending a lot of time researching this process and reading feedback from other SEO Companies via message boards, blogs and other sources. We eventually came to the conclusion that 90% of the people out there really don't have much of a clue what they are talking about. In the next few paragraphs, we will be discussing some methods and practices that will boost your position and still keep you in good favor with the search engines. We will also be looking at some practices that SEO's put a lot of stock into that may not necessarily be as important as they will lead you to believe. It looks to the crawler that you are trying to hide something (spammers will use code to hide hidden text or redirects). If the crawler doesn't understand something, it will ignore it and, most likely, your site. The web crawler may think you don't have enough content to put any importance into your site and, if it doesn't think your site is important, then it will not list you too high in the returned search results. What you should be shooting for is at least a 2/1 ratio in favor of content on 75% of your pages. This will let the web crawler know your site has some sort of relevance and also gives the crawler more content to index, which it really likes. I have addressed this subject before, but I want to go into it again because it is one of those things which a lot of SEO's just don't understand. The major search engines, i.e. Yahoo, Google and MSN, will all say the same thing on their web masters pages and that is "some web crawlers have difficulty reading the context of these pages". What it doesn't say is don't use flash or framed pages because this is a no-no. The reason why I want to make that clear is a lot of SEO's will try and tell you that this is a bad thing and that all your pages need to be flat static pages with lots of alt text behind your flat images. This is not the case. We have gotten many websites in the top ten and number one spots, some of which use both flash and framed pages. Some do not even have any indexable text or links on the home page. So how do we do it? Simple and its something you should be doing anyway. You should have an alternative version of your site which viewers with flash installed will be directed to. For a framed site, you should also have a non-framed version for people whose browsers don't support framed pages. Now that you know how simple it is, here is the temptation. Because your index page will most likely only be seen by maybe 10% of the people that come to your site, the temptation will be to flood that page with keywords and search text to get yourself bumped up the search and that will happen. However, when you get caught (which you will), you will be dumped. This page should only contain a stripped down version of your site and should only contain the same text content as your flash or framed site. Bay Area search engine optimizing company, located in the bay area. Our services include search engine optimizing, SEO and search engine placement. As part of our search engine optimizing service, we guarantee you top placement on all search engines within 30 days or your money back. When you chose our company for your search engine optimizing needs we will........ I think you get the point. I'm sure you notice the difference. Our web site does show up in the top ten for the search term "bay area web search engine optimizing". However, that was before we wrote this article. So how many times can you include the same search term? That only the Search engine companies know for sure. However, based our experience with sites we have successfully placed in the top ten, we would say no more than once every two paragraphs or once every 100 words. Style sheets are one of those things that are easy to abuse and can get you in trouble. When use correctly, they can really help you when optimizing a site. To abuse the use of style sheets is simple. All you have to do is make your H1 tag the same as your normal text style to try and make the crawler think that all your text is important. The trouble is crawlers are not as dumb as the used to be. They figured out that nobody has a header that lasts 5 paragraphs. The proper use of the H1 tag is your main page header. 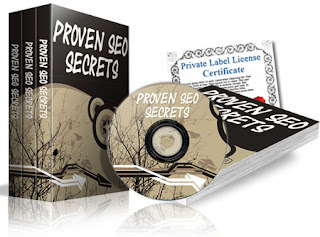 For example, this page is "SEO Secrets". Sub headers like "out of style sheets" should use the H2 tag and your content should always be normal text. Never, no matter how tempting it is don't make any text hidden by use of style sheets or any other method because your site will be bumped. Also do not make the folder that your style sheet is in hidden or private because, if the web crawler can't read your style sheet, it's not going to trust that everything is legitimate. You may be able to get your site listed in the top ten within 30 - 60 days, but that's no guarantee it will stay there. If your site is not continually being updated with fresh content and growing, then the search engines will simply dump it in favor of newer fresher sites. You should be adding a new page to your site every time the crawler visits and updating your old content as much as you can. Daily is preferred, but weekly at the very least. This will mean that the crawler will have fresh content to index and new links to explore. Thus, it will never see your site as stale and drop it. If you have downloaded Google's toolbar, you will see a bar at the top of each page which gives you a rating from 1 to 10 of how Google ranks your site. This means absolutely nothing when it comes to search engine optimizing. Some search engine companies think that getting a high page rank means you are going to be listed higher in the search. This is not the case. In fact, it couldn't be further from the truth. What this little bar indicates is simply how important Google sees your site and it makes that judgment on the quality of sites that link to you. The single most important thing about your site is not page rank, it is not how many incoming links you have and it is not how long your site has been up. It is your content, plain and simple. If your content matches the search criteria, then you will be listed. The more relevant content you have, the higher your site will be listed. There are a lot of sites listed in the number one spot that don't have any page rank. If you are a plastic surgeon and another plastic surgery site links to you, that will give you a boost because you are being linked to a site that has some relevance to yours. If your site sells used network equipment and the link to your site is like this used network equipment that will give you a boost because the link is a search term.